The island of Bali is the most favorite tourist destinations in Indonesia. In fact, Bali has become the most recognized brands abroad, even more famous than the name of Indonesia, as a country that houses this tiny island. There are 40 percent of foreign tourists entering through the airport in Bali. That is why a lot of investors that make Bali as the site of the new hotel. According to the minister of tourism in Indonesia, Bali still has a 50 percent hotel occupation, so, if it was up 20 percent again, only a total of 60 percent of the available capacity. 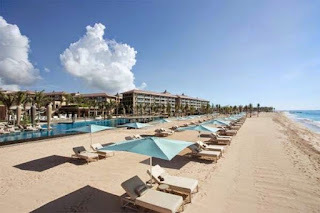 Bali still choose a great opportunity to add a new hotel, even though increased by 50 percent. Therefore, Bali remains to be promoted with great composition, to obtain a larger number of foreign tourists. Then, from Bali disseminated to all other destinations in Indonesia. Bali to liaise other attractions in Indonesia. The Government invited the tourism industry to initiate entry into Bali region other than in the area of South Bali to build new hotels. To ensure a more equitable distribution. Because the area of South Bali was very crowded by the hotel. So that appear unhealthy price competition. Hotel gets cheaper, even a four star hotel in Bali, the room price per night is around 10 dollars. Very cheap and ridiculous. The government should begin to make a moratorium on building have a new hotel in the area of South Bali. So that investors will switch to go to another area in Bali if it wants to build a hotel. South Bali is too crowded by the hotel. The most important thing is how it spreads. Hotels in South Bali very much, while in other areas is much less counted. It should be our common concern, from the government and private sectors. According to the data, currently has 1300 rooms spread across Bali. 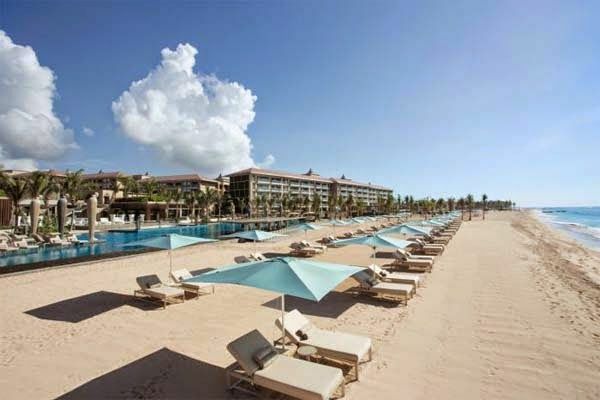 However, 70 percent in South Bali region, such as in the area of Sanur and Kuta, Sanur and Kuta even now known as the area with the least expensive hotel in Bali, so it takes equalization accommodation. 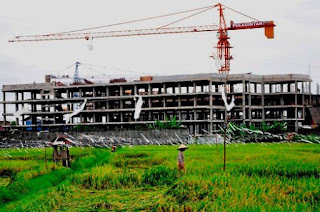 While the north and east Bali still require investors to make the new hotel. In order occurred equitable development and economic growth. Because the hotel is one of the sources of government revenue and be a source of jobs for residents of Bali. 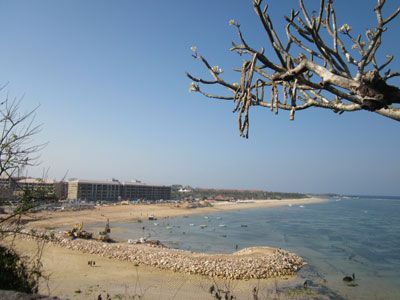 The development of tourist destinations in Bali is very necessary. Very obvious, that in the area of South Bali during the holiday season into a very dense area by people who are on vacation in Bali. Roads in Kuta always traffic jams occur. South Bali is too crowded by tourists. It also deals with hotel mura area of South Bali is very much with various options. If traced, eastern Bali region has a uniqueness, beauty is not inferior to the attractions in southern Bali. Tourist attractions in East Bali in between is, Taman Ujung Karangasem, Tirta Gangga Water Palace, Candidasa, Tenganan Pegringsingan, Kerta Gosa, Besakih, Pura Goa Lawah Klungkung, Tulamben, Virgin Beach Karangasem, Padang Bai Beach. Only the attraction is less popular among those who like the rapid wisatasan and entertainment. That is what causes the East Bali area is still very deserted by tourists. Meanwhile in North Bali, many tourist areas are also lovely but the accommodations were sangay bit. Although North Bali just become a crossroads and is not a major holiday destination. North Bali has a tourist attraction which was very nice and interesting, the attraction of which is, Niagara Sekumpul, Hot Water Banjar, Swimming Pool Water Sanih, Niagara Bite, Bali Cown Dive, Lovina Beach, Lake Buyan and Tamblingan, Singsing Waterfall, Pelabuhan Buleleng, weighing Beach, Yeh Sanih, Menjangan Island. The moratorium is indispensable to South Bali, and to boost the equity of the new building have accommodation facilities in other regions. Because Bali need pemeratanaan, economic equality to occur. North Bali is a poor area that requires attention. 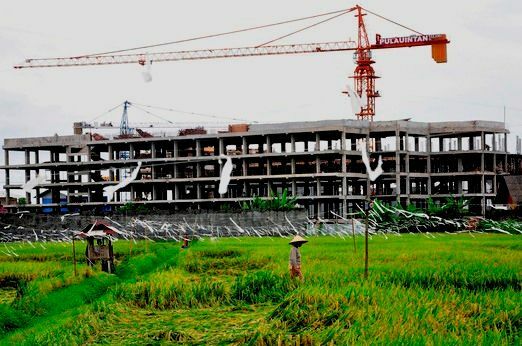 With the construction of new accommodation facilities in North Bali, economic growth in North Bali can be better. See also: Hotels in South Bali is very much, needed a moratorium on new hotel development.